The latest publication to enter the Bioscope Library of early film texts freely available online is Eugène Trutat’s La photographie animée. Trutat was the director of the museum of natural history at Toulouse, a naturalist, mountaineer and photographer. He wrote a number of books on photography and discovery, and in 1899 he produced one of the first books to document the new technology of cinematography, in La photographie animée. It is a book known to the specialist but not as widely cited as say its British counterpart, Henry V. Hopwood’s Living Pictures which was published the same year (and can be found in the Bioscope Library and on the Internet Archive, in its 1915 edition). That may simply be on account of its comparative rarity, and because it is in French. The Internet Archive has triumphantly overcome the rarity hurdle; whether the language remains a challenge is down to the individual. In any case one of the book’s particular riches is its copious illustrations of film technologies, which need no translation. 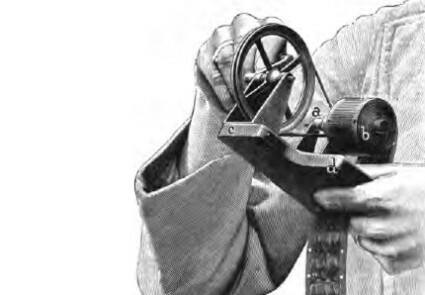 The main part of the book is a survey of moving image technologies up to 1899, with a particular emphasis on French machines. 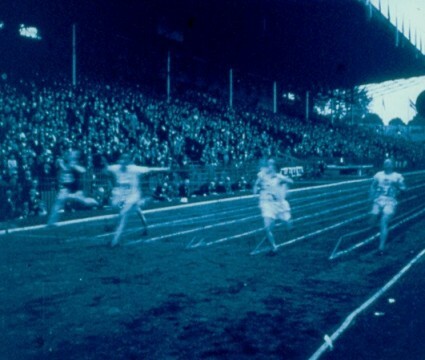 There is the usual opening thesis on the principles of animated photography and its antecedents found in the ‘pre-cinema’ work of Muybridge, Marey, Londe, Janssen and others. Trutat had a particular interest in multiple-lens cameras, and includes his own invention among those discussed. 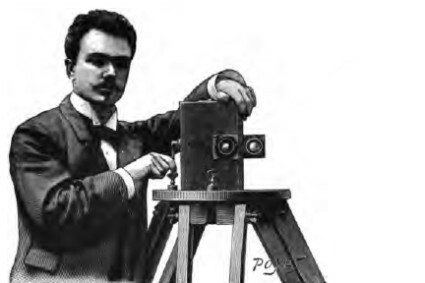 He then describes the principles and the mechanics of the film devices of Thomas Edison, Georges Demeny, Georges de Bedts, the Lumière brothers and Henri Joly, along with many minor names and technologies now mostly forgotten. For those who have a grasp of such things, Trutat is much given to marking his many illustrations with letters to point out particular mechanical points. It is very much a technician’s book. He concludes with some practical advice on the production and presentation of films, finishing with a handy list of French patents. So, not a book for everyone, but an invaluable text for the specialist and a fine resource for the iconography of late nineteenth-century motion pictures for the rest of us.